The best view home in Shadow Mountain Golf Club! Down a private road to a far-reaching driveway, this 3 bed 2.5 bath home is updated yet ready for your personal touches. The house is sited on a peninsula style lot overlooking the fairways and encompassing expansive views of Mt San Jacinto, Mt San Gorgonio and the surrounding valley. The outdoor living space is mostly a blank canvas ready for your preferred tastes, framed by a shimmering pool & spa and did I mention - VIEWS, VIEWS, and VIEWS! Better yet this home is price for all buyers looking for value and financial room for improvements they deem fit. An estate appraisal was completed in March of 2017 for $550,000. 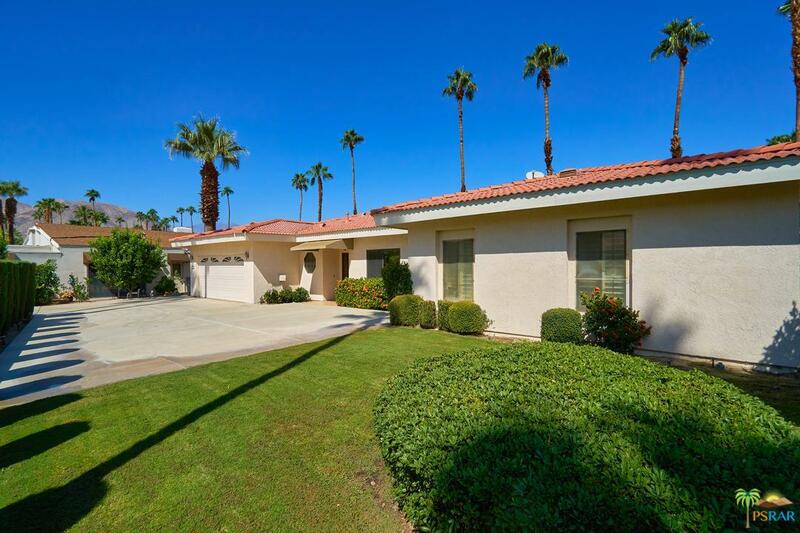 Come and see for yourself what a magnificent home and fantastic Palm Desert location looks like. Minutes to El Paseo, shopping, dining and surrounded by some of the deserts most desired enclaves.